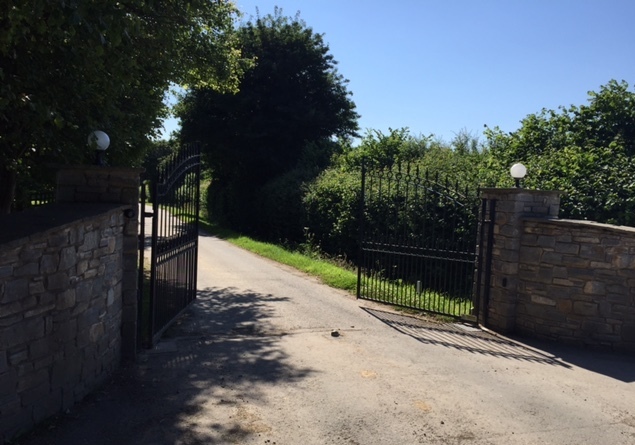 The gates open at 5:30am, with Assistant Trainer Robbie Llewellyn and his team arriving to feed all the horses. A list is prepared for Tim’s arrival in the office, detailing any horses that haven’t eaten up the previous evening or those with any heat or swelling in their legs. The work riders and remaining stable staff arrive at 6.30am and each have their set group of four horses to muck out. During that time, temperatures are taken for any horse that doesn’t appear 100% in itself, while Tim and Robbie walk around the yard to check on all the horses on the list. 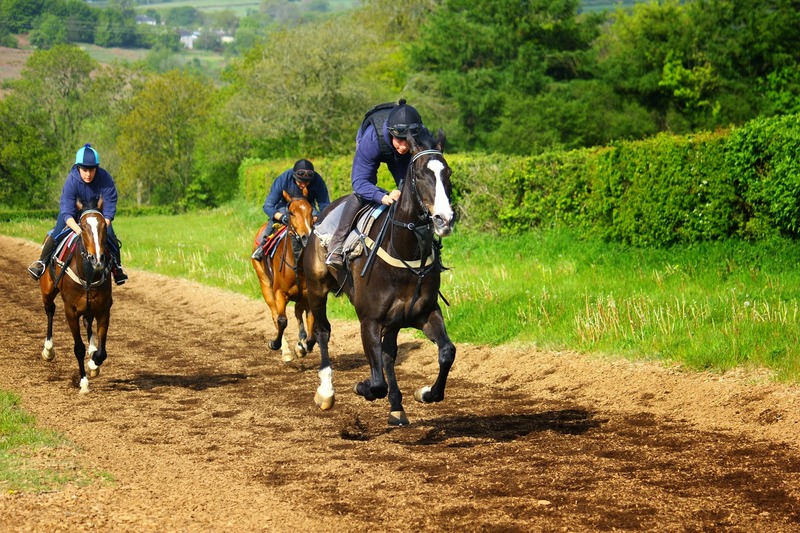 At 7:15am, Tim fills in the riding out whiteboard, partnering work rider and horse for each of the day’s four or five lots. 15 minutes later, the lads and lasses tack their horses up for the first lot of the day. The horses are mounted outside Barn 1 and circle in the centre of the yard, with Tim and Robbie discussing with each work rider in turn what their horse will be doing that morning. 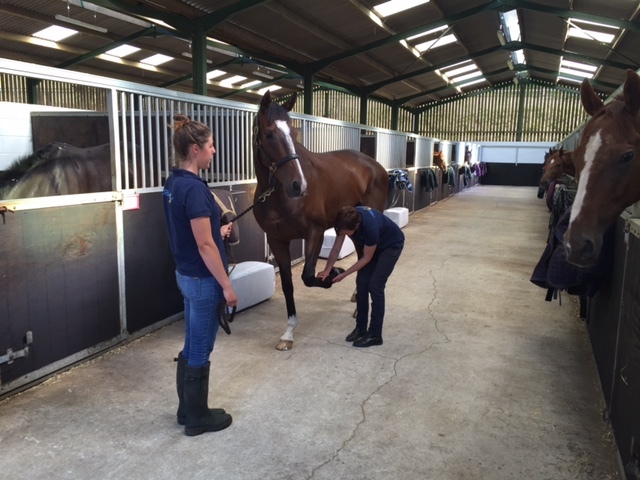 After exercise, whether on the circular canter, woodchip gallop or in the lunge ring, the horses are washed off and enjoy a pick of grass before a brief spell on the walker to cool the muscles down. Second lot is at 9:00am and follows the same format, after which it is breakfast time for all the staff. 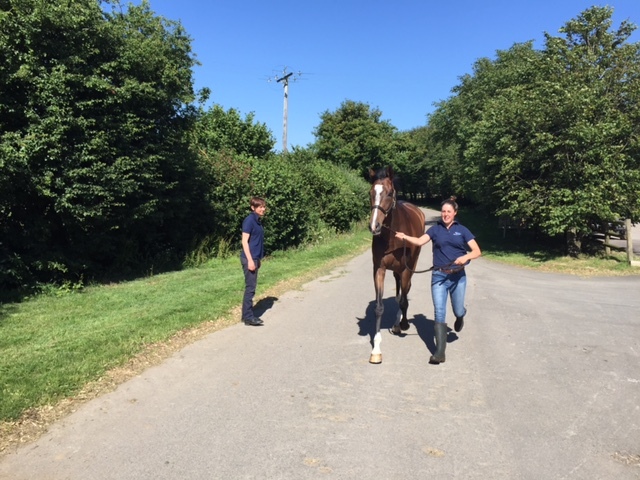 During this period, Tim and Robbie will see the previous day’s runners trot up, as well as those that are due to run later that afternoon/evening. Tim then heads to the office for the all-important declaration time of 10:00am, discussing race plans with owners and speaking to agents regarding jockey bookings. 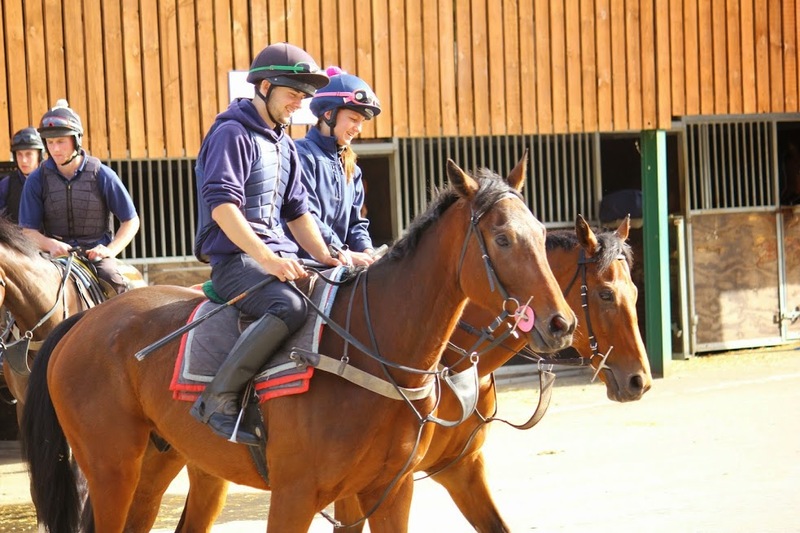 Third lot will pull out at 10:15am, followed by a mid-morning break for the staff and fourth lot at 11:45am. At this time, those that aren’t riding out will start the end-of-morning routine, ensuring the yard and barns are swept clean. 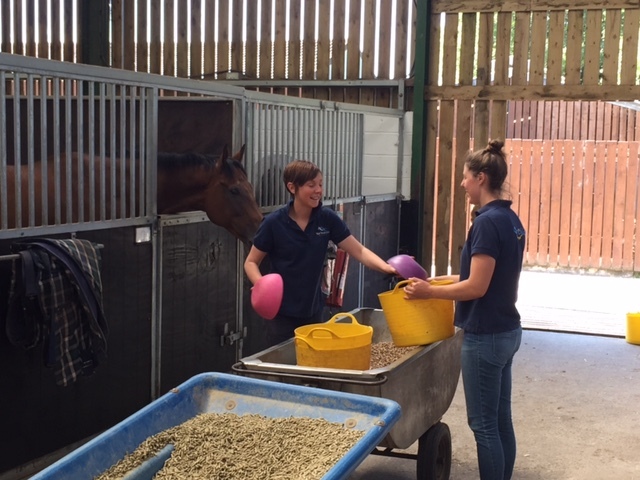 The horses are fed their lunch at 12:30pm and the staff leave to enjoy theirs! Evening stables starts at 4:00pm, with each member of staff once again looking after their four horses, skipping out and ensuring they are rugged up on cold nights. 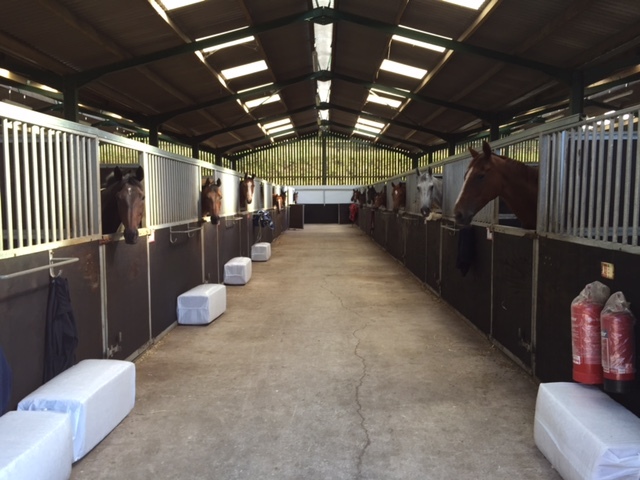 All the horses are fed and checked over by Robbie and his team, with the last of the staff leaving at 6:00pm. Tim walks around the whole yard to check all the horses are happy and content for the evening and there are not any who are unsettled or have a problem.